Recent review: They were great. Would recommend them in a heartbeat. Yes I would like the song from the Latin singer farruko "Dont let go"
I just want to surprise my wife at her lunch break in her job with our favorite song, I have permission from her job. Arriving on the music scene in the late 19th century, Mariachi Bands brought an upbeat yet traditional sound to Mexican culture. With a blend of guitars, violins, trumpets, the guitarron, and the vihuela, Mariachi music can truly liven up a party! The upbeat authentic Mexican folk music is the perfect accompaniment for wedding receptions, Cinco de Mayo parties, and so much more. 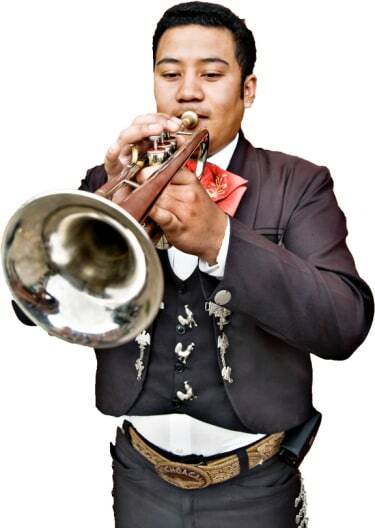 Search for Mariachi Bands in Pawtucket, Rhode Island above. Please note that these Mariachi Bands may also travel to Rumford, Seekonk, Albion, Rehoboth, Riverside, North Attleboro, Manville, Attleboro Falls, Greenville, Chartley, Plainville, North Smithfield, Harmony, Sheldonville, Warren, Hope, North Scituate, North Dighton, Fiskeville, Slatersville, Blackstone, Scituate, Wrentham, Dighton, Arctic, Mapleville, Glendale, Oakland, Millville, and East Mansfield.